This is a limited edition makeup palette by Sephora. 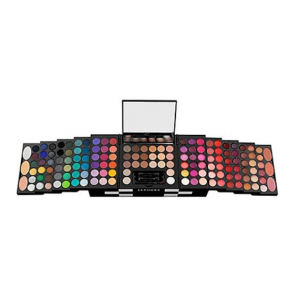 It includes 12 cream eyeliner, 6 top coats , 22 eyeshadows, 48 lip glosses, 6 lip and cheek creams, 3 blushes, and 3 luminizes. A great gift for a vixen girlfriend who is always going from a day-time to a night-time look or is wanting to experiment with new looks and trends.